We are happy to announce our new partnership with Igor Litvinov. Igor will be joining us as co-organizer of the Maryland Dancesport Championships! We are all so excited and honored to be part of this great competition. This year, we will be celebrating the 30 year anniversary of the Maryland Dancesport Championships as well as our move to the stunning Lord Baltimore Hotel! Our goal is to provide all competitors with a highly organized, fun and competitive competition experience that will be memorable and unique!!! Mark your calendars, put on your dance shoes and join us February 3rd & 4th, 2017 for the NEW Maryland Dancesport Championships! 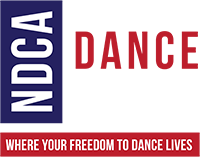 PreviousPrevious post:Maryland Dancesport is now a Fordney Foundation Dancesport Series Event!NextNext post:Maryland is “Dancing for the Cure”!